The federal government regulates drugs through the Controlled Substances Act, which does not recognize the difference between medical and recreational use of cannabis. These laws are generally applied only against persons who possess, cultivate, or distribute large quantities of cannabis. But under federal law, cannabis is treated like every other controlled substance (i.e. cocaine and heroin). 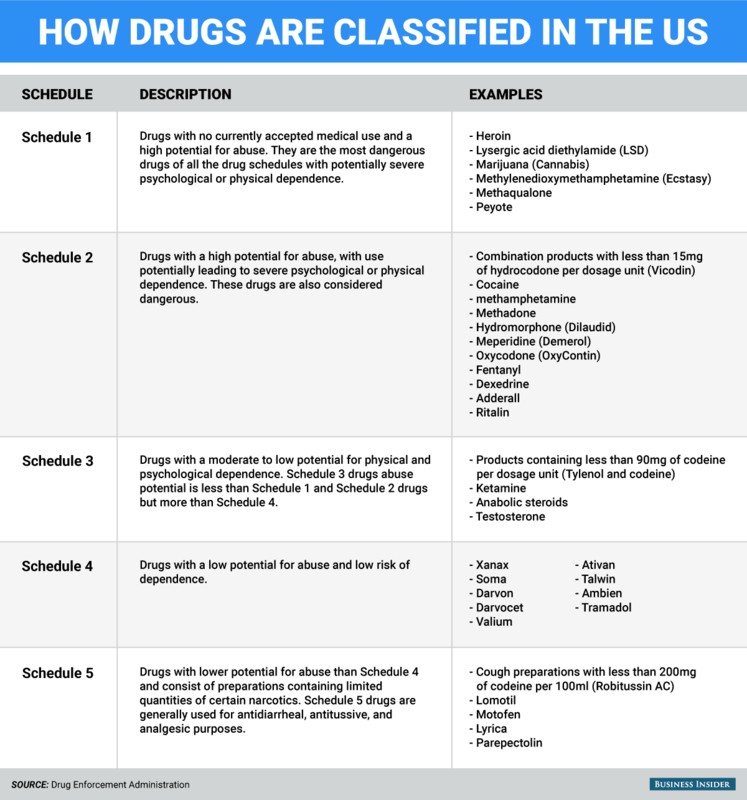 Under the Controlled Substances Act, cannabis is classified as a Schedule I drug. This means that the federal government views cannabis as: (1) highly addictive and (2) having no medical value. Doctors may not “prescribe” cannabis for medical use under federal law, though they can “recommend” its use under the First Amendment. Fortunately, most medical cannabis program’s regulations require the same guidelines. This ensures that any business with a license is meeting these requirements as well. 8. Don’t possess or use marijuana on federal property. States have recognized cannabis’s medical value and have either passed laws through legislature or have adopted them by initiative. As of 2016 every federal agency, except the Drug Enforcement Administration, has stopped picking on medical cannabis. Starting with the 2009 Ogden memo and the 2013 Cole Memo, the Department of Justice has made clear that state legal medical marijuana is not a priority. In 2010, the Veteran Affairs updated their policies to no longer deny veterans’ access to medical services due to their participation in a state-legal medical marijuana program. In 2014, the Treasury Department issued guidelines to facilitate banking in the marijuana industry. Information being distributed to the public from federal agencies has also improved. National Institute of Drug Abuse (NIDA) DrugFacts: Is Marijuana Medicine? Research barriers are are also beginning to fall, with the Office of National Drug Control Policy lifting the Public Health Service (PHS) review, a hurdle only cannabis researchers had to clear in 2015. Likewise, NIDA now supports letting other research centers grow research cannabis, ending the NIDA monopoly. allows states to continue with state adult-use cannabis regulation and stated the DOJ doesnt have the resources to start nationwide cannabis raids. prevents direct interference with state implementation; it should also end federal medical cannabis raids, arrests, criminal prosecutions, and civil asset forfeiture lawsuits, as well as providing current medical cannabis prisoners with a way to petition for their release. The case was dropped at least in part the result of the Rohrabacher-Farr amendment, which prevents the DOJ from interfering with those abiding by their state medical cannabis law. Since the Harborside was dropped, it does not carry any binding legal precedent. The most important care involving the Rohrabacher-Farr amendment took place in the federal 9th Circuit Court. The court held that the Rohrabacher-Farr Amendment prohibits the federal prosecution of conduct that is allowed by the state’s medical cannabis law. Judge Breyer from San Francisco’s federal court ruled that the prosecutions of medical cannabis defendants must be consistent with the Rohrabacher-Farr Amendment in a long-standing case with Marin Alliance for Medical Marijuana (MAMM) and its founder Lynette Shaw. Judge Breyer ruled that the Amendment “forbids the Department of Justice from enforcing this injunction against MAMM to the extent that MAMM operates in compliance with state California law.” In other words, as long as providers adhere to state law, the Amendment prevents DOJ from shutting down state-legal providers. a Supreme Court decision, the court ruled that the federal sentencing guidelines are advisory and no longer mandatory. In addition to the sentencing guidelines, there are statutory mandatory minimum sentences, which remain in effect after United States v. Booker and primarily target offenses involving large amounts of cannabis. Visit our other Cannabis Laws & Regulations pages to see what the particular cannabis activity and laws are for that area.